BLOKFEST: Blokfest 4 - get amongst it! Blokfest 4 - get amongst it! Preparations are well under way for Blokfest #4 at Nottingham and the day is set to be the biggest and best event of the season so far. If you have never been to a Blokfest before be sure to stick your name down on the registration page to make life easier and quicker on the day and get ready for a fun and exciting event that is suitable for everyone on Sunday. If your not 100% if you can make it for some bizzare reason - no drama as you can always just turn up on the day (remember everyone who enters Blokfest gets a FREE smart t-shirt or vest). Under 16s from 10:30am and seniors from 1pm with the ever spectacular finals at 6pm. With plenty of big names already entered the showcase finals is definitely not to be missed. 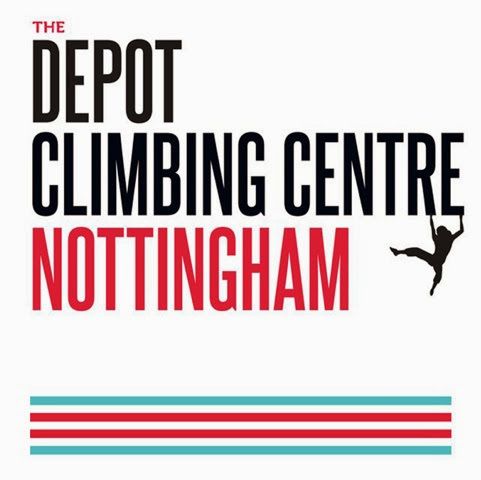 The Depot crew have been awesome and arranged additional free parking in Staples which they will attend on the day from 9am and as always please remember cash for your entree on the day. We have also arranged a couple of extra crazy challenges on the day to try out along side the 25 bloc tour plus we have- DMM, Marmot, Scarpa, Grivel, BootBananas, Beastmaker, Holdz, Volx and Bonobo Beads Hand made jewelry amongst others on hand to add to the festival atmosphere. OH YEAH and how could we forgot a Huge sound system and x2 psyched DJ's! For some more info check out this article on UKC and explore 'about' section on this site.